I’m sorry someone hurt you so much. Unfortunately, some are just so mean!! Hmm… Poems! I wonder, though, if this is this truly how you feel or just some fun? How’s life? Life’s alright. Thanks for asking. I hope you are doing fine too. 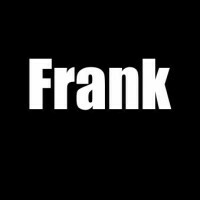 Thanks, Frank for coming by my blog. You sure have a “gift” of the written word. “Karma” always does come back to haunt those who need it! Lol. I actually have 2 WP blogs. One is my recovery blog and the other where I offer book promotions and I co-write with others. We all are in some way, aren’t we? Those that deceive deserve to be in hot water! Let the one who has done the wrong live (and die) in his bitterness. For you, wax poetic in living a life of happiness, unencumbered by wrath. Peace Frank. hi Frank…read a few of your blog posts, so far the Good Night Foe is the one most appealing to the sense of where I am…thank you for being willing to share poems that bring some of the darkness to light so that it can be exposed and beaten to dust before the wind. The wound of the deceived is deep. The pain and anger could be felt in the poem. From whence the light from the blackhole come’th? How can it escape? Ah, through vigor and rage, wrath and venom. Loose you light, I cast you from my presence!